Saturday afternoon, 3pm, there are football matches going on all round this country, and the chances are at the moment I will be present at one or other of them. But I don’t always get lucky and capture the winning, and only, goal scored on the day. 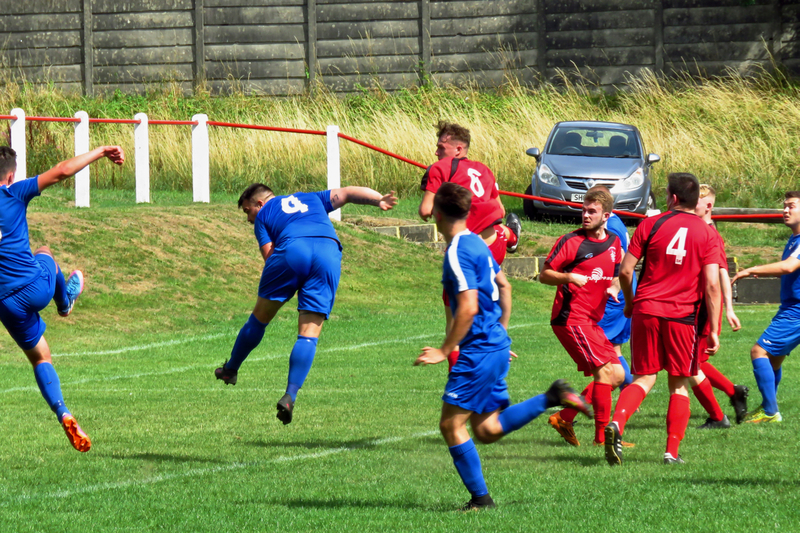 The blue-clad number 4, Brett Doogan (and there’s a name of the sort only possessed by non-league defensive midfielders) gets the header in for Nelson FC in their match at Chadderton.